THURSDAY, 22 SEPTEMBER – A total of 100 participants from across the country participated in the Malaysian Private Entities Reporting Standard (MPERS) organised by the Bursar Department, Universiti Malaysia Sabah (UMS), starting today. 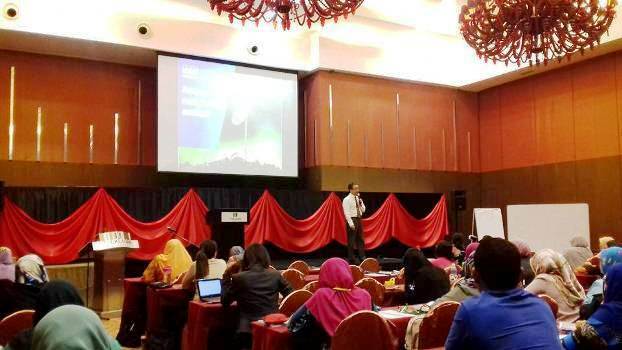 Themed “Are You Ready to be Audited?”, the course was held in one of the hotels in Kota Kinabalu and was facilitated by two speakers who had vast experience in the field of auditing. They were Thong Foo Vung, a partner with audit firm KPMG and also a Board Member of the Auditing and Assurance Standards Board (AASB), and the Manager of KPMG, Oh Sye Yie who had served KPMG audit firm in Taiwan. Earlier, Acting Treasurer, Zallifah Shadan in her speech said, the MPERS course was in line with the new accounting standards issued by the Malaysian Accounting Standards Board (MASB) on 14 February 2014, where MPERS replaces the existing standards. “This standard applies to financial statements, beginning on or after 1 January 2016,” she said. She also expressed hope that the knowledge shared would not be restricted within the seminar only but would continue to work closely with each other.